“Greatness. With problems.” That’s how Alexander Kellner described Rio de Janeiro’s National Museum, back in May, to journalist Marco Aurélio Canônico. In the year of its 200th anniversary, the museum scrambled to operate with the bare minimum – ten of its 30 rooms were closed, and the building battled an infestation of termites. The financial situation of the National Museum was so dire that its administration was forced to set up a crowdfunding campaign to be able to display its Maxakilisaurus skeleton to the public, the largest dinosaur skeleton ever to be found in Brazil. On Sunday (September 3), the National Museum’s decay took a dramatic turn, with the building becoming consumed – and almost entirely destroyed – by flames. The fire department was called at 7:30 pm – two and a half hours after the museum closed for the day. The flames were only controlled by around 2:00 am, by which time authorities believe almost everything inside has been destroyed. “We lost 200 years of history. It’s not only the building and its objects that we are losing, but part of the effort to create the Brazilian civilization,” said Paulo Knauss, director of the National Historic Museum on television. The fire is only the latest instalment in a story of neglect. Inaugurated on June 6, 1818, Rio de Janeiro’s National Museum was Brazil’s first art gallery. It is located in Quinta da Boa Vista, a building next to the Maracanã Stadium which served as the residence of the Portuguese royal family. It was there that the Brazilian Declaration of Independence was signed and where Emperor Pedro II was born. Its archive holds over 20 million items – including Latin America’s largest collection of Ancient Egyptian artifacts. Perhaps its most significant treasure was Luzia, the oldest human fossil ever found in the Americas – a 12,000-year-old woman who was one of Brazil’s first inhabitants. The museum, however, reached its 200th anniversary with leaks, damages, stained historic furniture, and moldy walls. In 2015, contract workers went on strike after not getting paid for three months, which forced the museum to close for 11 days and the federal government to send an emergency BRL 8 million. Without any money for research, the museum offered an anachronistic experience – with no digital resources whatsoever. Its visitation was down to fewer than 10,000 people per month. In June, the National Museum signed a BRL 21.7 million contract to restore the building. Part of that money would be used in anti-fire systems. At the time, Mr. Kellner said that the money was welcomed – but not nearly enough to solve all problems. According to the Ministry of Culture, Brazil has 3,200 museums – among public and private institutions. Just for comparison – that is three times more than France, one of the world’s cultural centers. However, the reality of the sector is borderline catastrophic. Over 100 museums are closed due to a sheer lack of money and qualified labor. 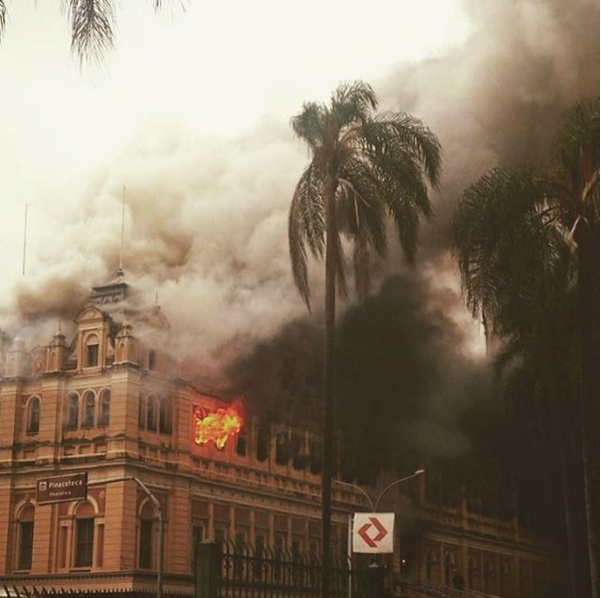 During the past decade, three museums (including Rio de Janeiro’s National Museum) have been destroyed by fire. 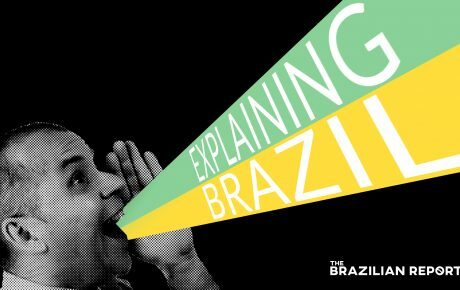 Less than three years ago, a similar episode happened in São Paulo’s Portuguese Language Museum. A defective light bulb caused a short-circuit that sparked the fire, which destroyed the museum and the roof of the Luz Station, a historic railway station built in 1901 that housed it, killing one firefighter. Since the fire, on December 21, 2015, the institution has been closed – and should be reopened only next year, if everything goes according to plan. In November 2013, the auditorium of São Paulo’s Latin American Memorial was destroyed by a fire and spent four years closed. The institution lost a historical tapestry ordered in the 1980s by architect Oscar Niemeyer to the late Tomie Ohtake – one of Brazil’s most renowned artists. Other institutions have closed down in less dramatic fashion. In Uberlândia, the second-largest city in the state of Minas Gerais, museums close during weekends and holidays (to avoid paying workers overtime) – operating only between 8 am and 5 pm. Not necessarily the best way to attract visitors. Another emblematic symbol of how little Brazilian authorities care for our museums is the Ipiranga Museum – erected at the site of Brazil’s independence proclamation on September 7, 1822. The building, designed by Italian architect Gaudencio Bezzi and inaugurated in 1890, is a UNESCO historic and cultural heritage site. Five years ago, it was shut down due to an imminent risk of collapse. It is only set to reopen in 2022, during the celebration of the 200 years of Brazilian independence. 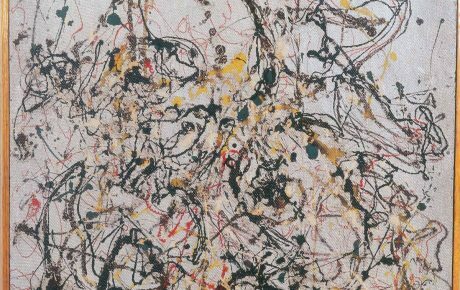 Earlier this year, Rio de Janeiro’s Modern Art Museum (MAM) shocked the art world when it decided to auction its most celebrated work, Jackson Pollock’s No. 16 (1950) – the only work of the artist on public view in Brazil – to fund its operations. 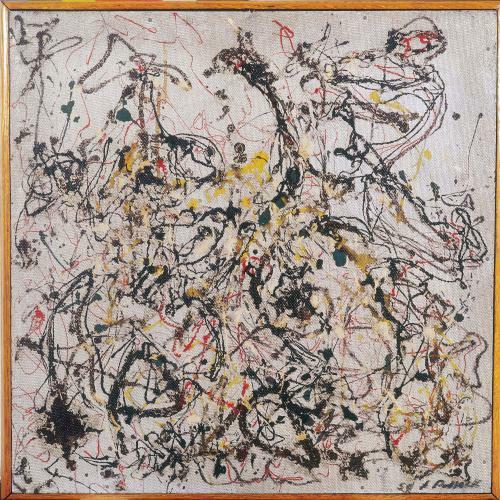 The painting was a gift from American magnate Nelson Rockefeller, as part of a soft power strategy. As a businessman, Mr. Rockefeller had dealings in several areas, such as steel, agriculture, and construction. As a member of the U.S. federal administration, he saw Brazil as an important ally in Latin America. During the Cold War, Mr. Rockefeller believed in the power of cultural influence. As chairman of New York’s Museum of Modern Art, he incentivized the creation of similar museums across Latin America, having donated important artwork to these institutions. In 1952, he donated a canvas by Robert Motherwell and Pollock’s No. 16 to MAM. With debts of BRL 4 million, MAM became unable to finance its operations. The museum’s chairman, Carlos Alberto Chateaubriand, met three times with Sérgio Sá Leitão, the Minister of Culture, only to hear the same thing: there was no money available, as MAM is a private institution. 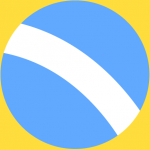 Estimated at USD 25 million, the sale No. 16 could help guarantee 30 years of operation for MAM. The Ministry of Culture has filed a lawsuit asking the auction to be suspended – but has offered no other way to finance the museum. It is safe to say that President Michel Temer’s administration acts exclusively in the interests of big business. Among the several actions that helped his approval ratings reach a record-low in democratic times, we can cite a brutal attempted pension system reform, a pro-business labor reform, an attempt to narrow the definition of slave labor – and the brief extinction of the Ministry of Culture. Mr. Temer backpedaled two weeks later, after daily protests by artists in 11 state capitals. However, the ministry was never effective during his administration. 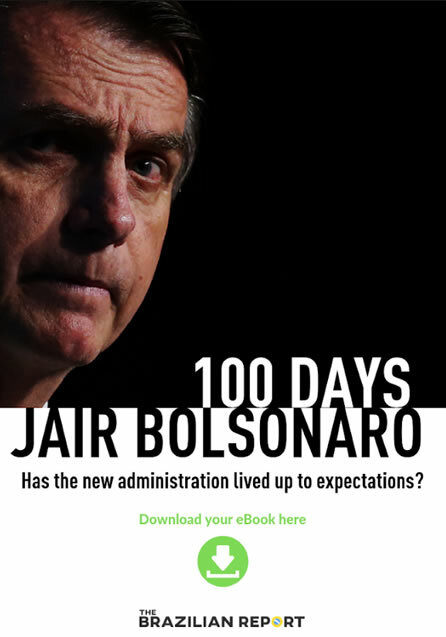 In June 2017, culture secretaries for 19 Brazilian states signed a manifesto against what they called “paralysis and abandon” by the Ministry. 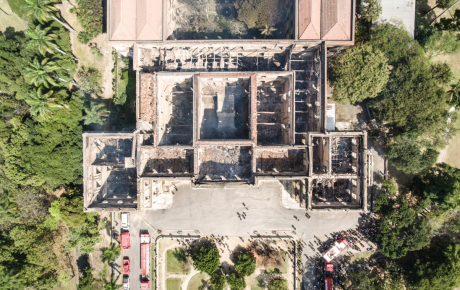 In one year, nothing changed – and the result is exposed by the flames that destroyed Brazil’s oldest museum. 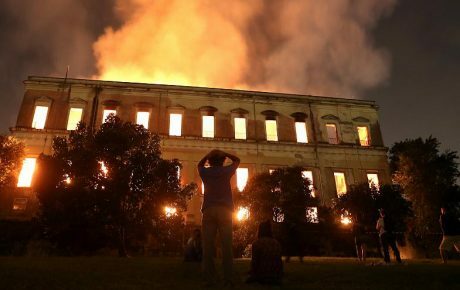 President Michel Temer called the fire “a tragic day for Brazil’s museology.” It is – and his administration actively helped it happen. But while the current administration does not have our cultural assets as a priority, it would be wrong to blame it entirely on President Temer and his team. Such failure is a joint effort between him and his predecessors. What was lost in the National Museum fire?